Patricia L. Goodman is a widowed mother and grandmother and a graduate of Wells College with a degree in Biology and membership in Phi Beta Kappa. She spent her career breeding, raising, training and showing horses with her orthodontist husband, on their farm in Chadds Ford, Pennsylvania. She now lives in northern Delaware, where she enjoys writing, singing, birding, gardening and spending time with her family. Many of her poems have been published in both print and online journals and anthologies and she was the 2013 and 2014 winner of Delaware Press Association’s Communications Contest in poetry. Her first full-length book of poetry Closer to the Ground, was a finalist in the Dogfish Head Poetry Contest, and was published in August, 2014 by Main Street Rag Publishing Company. In 2015 she received her first Pushcart nomination. Much of her inspiration comes from the natural world she loves. 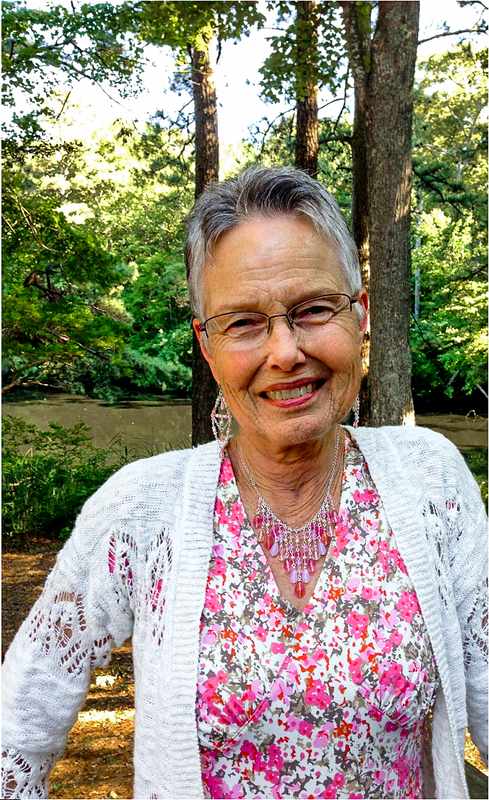 Pat currently teaches an Advanced Poetry Writing class, with her friend and fellow poet Betsey Cullen, at Wilmington's Osher Lifelong Learning Institute. In addition to her poetic publications, Pat has, during her career, had many articles and photographs published in equestrian pamphlets and journals, including seven cover photos, as well as articles published in national hunting magazines, due to the fact that she travelled the world with her big-game-hunter husband. “Closer to the Ground”, full-length book of poetry, published by Main Street Rag Publishing Company in August 2014. Pat is happy to read anywhere within easy driving distance of Wilmington, DE.